NEW TOUR, JUST ADDED - Once every decade for more than 350 years the small town of Oberammergau in Germany has celebrated the life of Christ with the world’s best known passion play as an expression of thanks to heaven for sparing the town from the plague. This exciting tour will be directed by Victor Ludlow, retired BYU Professor of Religion and published author. What better way to study the life of our Savior, Jesus Christ, than to visit his home in Israel. You will see where he lived and hear of miracles which he performed and then walk in his footsteps the last days of his life. Next, you will travel to Germany – to a little town in the mountains which celebrates the miraculous last week of the Savior's life and his ultimate sacrifice for us. Come join Victor on this "once-in-a-lifetime" experience! We will leave our homes, take flights from various U.S.A. airports, and change planes for our flight to Israel. We’ll arrive late the next afternoon at the Ben Gurion Airport─which is near New Testament Lydda, where Peter healed Aeneas. Then we will drive to Jerusalem and check in to the Olive Tree Hotel for four nights. We will have dinner and a brief meeting before retiring for the night. We will enter the Old City through the Dung Gate to tour the Temple Mount or Mount Moriah─site of the ancient temples of Solomon and Herod, the magnificent Dome of the Rock, and the El Aksa Mosque. (These two sites, which are tied to so much sacred and secular history, are currently closed to non-Muslims.) We will then visit the Western Wall (or Wailing Wall) of the Herodian temple courtyard, a site sacred to Jews today. If we are lucky, we may be able to observe a Jewish Bar Mitzvah at Judaism’s holiest shrine. We will continue on to the site of the Pool of Bethesda and the Church of St. Anne to sing hymns and to discuss John 5. In the Jewish Quarter of the Old City, we will visit the Roman Cardo. After taking time in this area for lunch and some shopping, we will walk through the narrow market streets in the Arab Bazaar to experience more sights, sounds, and smells of the Old City. We will walk through the ruins of the City of David, which will give us an idea of the Jerusalem that Nephi knew. We will walk through the Arab area of east Jerusalem and spend some time in the Christian Quarter, the area between the Jaffa Gate and the Damascus Gate. We will visit a major shrine of Christendom - the Church of the Holy Sepulchre. Next we will go to the Damascus Gate and make our first visit to Golgotha and the Garden Tomb. Following dinner at the hotel, we will have a special fireside. We will travel to nearby Bethlehem, site of the Savior’s birth, and visit the Church of the Nativity, including St. Jerome’s Grotto, where the Latin Vulgate Bible was completed. Following dinner at the hotel, we will visit Shepherds’ Field, which overlooks Bethlehem, and review the biblical events connected with this area in a special evening “Christmas” program. Returning to Jerusalem, we begin our visits to the sites related to the Savior’s last days on earth. We will first walk from the Mount of Olives down to Bethphage as we focus on the events of the last week of the Savior’s life, beginning with His triumphal entry into Jerusalem. We will also visit the Orson Hyde Memorial Garden, where we will discuss aspects of LDS and BYU history in the Holy Land while enjoying a breathtaking view of Old Jerusalem. If time allows, we will proceed down the west side of the Mount of Olives and stop at a lookout point to discuss more of the Savior’s final week. We will continue down the Mount of Olives to Gethsemane and begin our review of the Savior’s atoning sacrifice. We will begin our Sabbath by attending Sacrament service with the Jerusalem Branch in the beautiful auditorium of the BYU Jerusalem Center for Near Eastern Studies. The center offers spectacular views of the Holy City. Immediately following the meeting, we will enjoy the lovely gardens. We then travel to Mount Zion and the location of the Upper Room, a reminder of the Last Supper and the ordinance of the sacrament. At St. Peter’s in Gallicantu, the probable site of the palace of Caiaphas, we will discuss Peter and the trials of Jesus. Our day will conclude at Golgotha, the place of the Crucifixion, and the Garden Tomb─where we will have a private service to consider the final mortal events in the life of the Savior and the glorious events of His Resurrection. We will have dinner and a special meeting at the hotel. An early morning drive will take us through the wilderness of Judea to the Jordan Valley and then south along the Dead Sea, the lowest point on the earth’s surface. Then we will take the cable car to the top of Masada to see the ruins of the palace-fortress built by King Herod and to recall the story of the Zealots’ last stand against the Romans. As we drive back north, we will stop for a quick float in the Dead Sea and lunch at Ein Gedi, one of the areas where David hid from King Saul. Next, we will drive on to Qumran, home of many of the Dead Sea Scrolls. If time allows, we will stop at Qsar el Yahud to discuss some very important Biblical events. We will then drive north for our time in the Galilee and check in to the Nof Ginosar Guesthouse for two nights. Today we will take an early morning drive to the Galilee and visit Capernaum, the center of Jesus’ Galilean ministry. This is where He performed many miracles and gave many teachings, including His “Bread of Life” sermon. We will pass St. Peter’s Primacy on our way to the Mount of Beatitudes, where the important Sermon on the Mount will be discussed. We will then drive to the lovely city of Nazareth, the boyhood home of Jesus. Here we will visit the Nazareth Village (developed to show life as it existed at the time of Jesus) and briefly reflect on His early life. As we return to the Sea of Galilee area, we will enter the Beit Netofa Valley and pass by the remains of biblical Cana, where Jesus turned water into wine. We will hopefully have an opportunity to witness a beautiful Sea of Galilee sunset on our way to overnight at Kibbutz Nof Ginosar. After an early breakfast, we will take an exhilarating boat ride across the Sea of Galilee. We will then travel east to the top of Mount Carmel at Muhraka, the traditional site of Elijah’s confrontation with the prophets of Baal. We will enjoy a view of the Jezreel Valley and discuss the importance of this valley anciently and now. Next, we will stop in Haifa (modern port of Israel and center of the Baha’i faith) for a scenic view and recount some LDS Church history related to this area and then to travel along the coast of the Mediterranean Sea to the Roman New Testament seaside capital Caesarea. Here, at the ancient Roman theater, we will study some events involving Peter and Paul that occurred in this place. 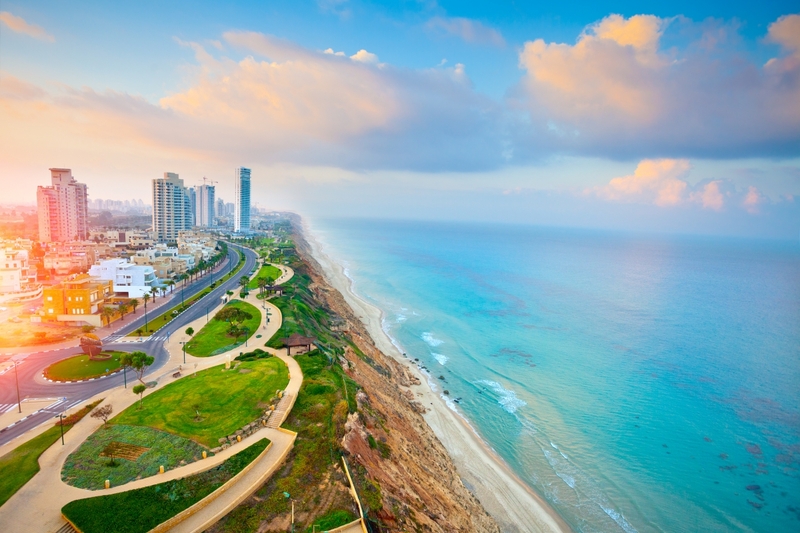 We will check in to the Seasons Hotel in Netanya on the Mediterranean Sea for the night. This morning we’ll depart to the airport for our flights to Munich. Upon arrival we’ll visit the somber, first World War II concentration camp in the village of Dachau before heading into Munich for a lunch break and panorama bus tour of the city. We will travel to Fussen and visit the fairy-tale Neuschwanstein Castle built by King Ludwig which has been said to be the inspiration for the castle at Disneyland. We then will complete our journey today arriving at our hotel in the Bavarian region near to Oberammergau to prepare for our Passion Play experience. Today we will attend the Oberammergau Passion Play. The play, which began in 1634 and is held once every decade, reenacts the Passion of Jesus Christ—from His arrival in Jerusalem to the crucifixion and resurrection. The performance takes place over an afternoon and evening (seven hours), with an included dinner break in between. Over 2,000 performers, musicians, and stage technicians, all of whom are residents of the village, participate in the play. This experience will highlight the life of the Savior. Today we depart our little village we’ve grown to love and head northwest to Frankfurt. Along the way we’ll see some of the beautiful Bavarian countryside and enjoy some fun stops along the way. We will stop in Heidelberg for lunch. Charm and character is abundance in this historic city from the Old Bridge to the mighty castle. We complete our day arriving into the wonderful city of Frankfurt. This morning we’ll get a guided panorama city tour of the city highlights of Frankfurt. We will also learn about the city’s history and the rebuilding needed after WWII and the important part it played in the new government.. After a lunch stop we get to the spend the afternoon at the newly rededicated LDS Frankfurt Temple (2019) for those who’d like to attend. Others can enjoy the afternoon relaxing and taking in the charm of this city. Today we make our way east on the Autobahn towards the capital city of Berlin. Along the way we’ll stop at Wartburg Castle, Thuringia's most famous landmark and designated UNESCO World Heritage site, described as an exemplary hilltop castle of the feudal period in central Europe. This castle is most famous for sheltering Martin Luther while he translated the New Testament for Germans to read. We end our travels today in historic Berlin. Today we explore the city of Berlin. We’ll see many historic sites from the Berlin Wall to Check Point Charlie and to the restored Reichstag building to Charlottenburg Palace. After a full day of highlights we’ll enjoy one last dinner together and reminisce our last 2 weeks together and all we’ve seen, learned and felt. This morning we’ll board our bus back to the airport for our flights home with memories to last a lifetime!